The Old Mill | Just Shooting Memories! Berry College is known for the largest campus in the world. Somewhere in the neighborhood of 25,000 acres and the majority of it is undeveloped. I was fortunate enough to spend a little time there during my college years and spent many days riding my mountain bike around Lavender Mountain. There are so many beautiful places there that it is hard to list them all and it would take weeks to post them photo by photo. However, one of my favorite is the Old Mill. 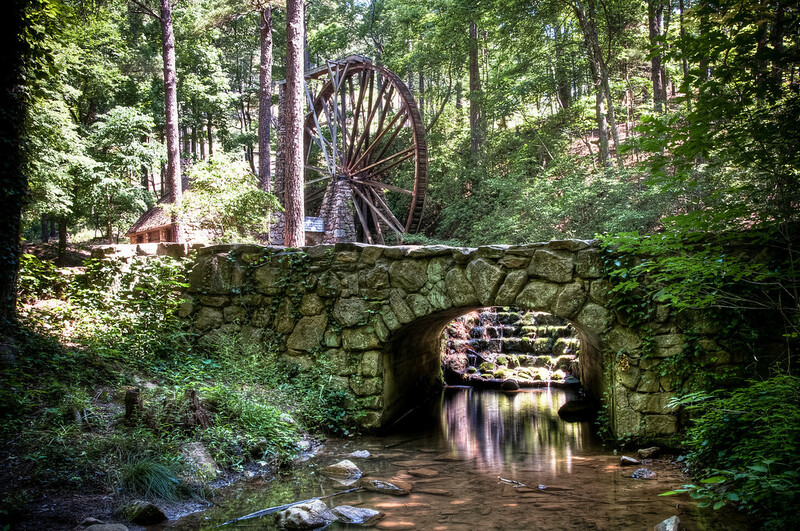 Located at the base of Lavender Mountain, the Old Mill still rests on a small pond. Although it is closed up and not running, it makes for a beautiful photo location.